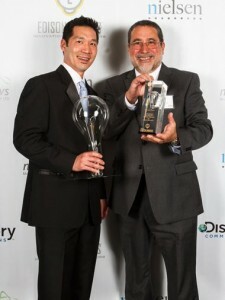 AgigA Tech was named the Gold Medal winner for innovation in the Electronics & Computers category at the 2013 Edison Awards. AgigA Tech beat out San Diego stalwarts Qualcomm and ViaSat to take top honors. Recognized in the category of Computers and Related Products at the 18th Annual TechAmerica High Tech Awards showcasing San Diego’s most innovative technology companies. Red Herring announced its Top 100 award in recognition of the leading private companies from North America, celebrating these startups’ innovations and technologies. AgigA Tech’s AGIGARAM® was honored with the 2010 Most Innovative New Product (MIP) Award in the category of Hardware and General Technology at CONNECT’s 23rd Annual MIP Awards on Dec. 10, 2010. For the past 23 years, CONNECT’s MIP Awards has honored new products created and launched in San Diego with the potential to make a worldwide impact on society. AgigA Tech’s AGIGARAM technology recognized as one of only three in the Memory and Storage Category.